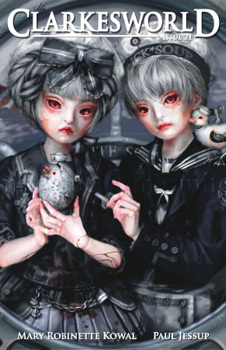 Manga Monday: Is everyone who can see yokai so very odd? 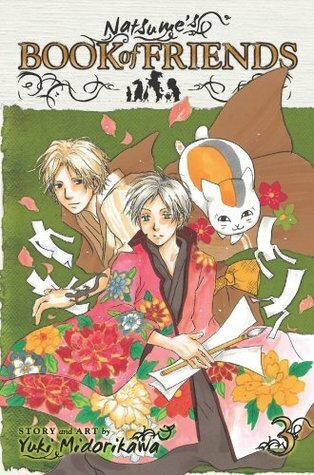 Takashi puts everything on the line to protect the Book of Friends and the yokai in his care in Natsume's Book of Friends Volume 3. Note: Natsume's Book of Friends Volume 3 is, of course, the sequel to Natsume's Book of Friends Volume 2. The review of Natsume's Book of Friends Volume 1 is here, and the review of Natsume's Book of Friends Volume 2 is here. Otherwise, read on! Somewhere, somewhen there's a magical room full of clockwork toys. There's Clockwork Sparrow, flying around the ceiling on a string. There's Clockwork Scarab, sitting with his lotus. And there's the Clockwork Chickadee, who flaps her wings and pecks at the shelf. Clockwork Sparrow tends to think a lot of himself. He is, of course, the only clockwork creature in the room who can actually fly. It may not be the sparrow who is clockwork, though, only the device on the ceiling that makes the bird fly when the boy winds it. Nevertheless, Clockwork Sparrow feels that he is special. Being special can cause envy, though. Clockwork Chickadee can't fly. Her wings flap, her head moves, but she sits solidly on the shelf where she is kept. Clockwork Chickadee does know a few things that Clockwork Sparrow doesn't, though. Clockwork Chickadee knows Live Mouse. Clockwork Chickadee knows that Live Mouse has the wind-up key. And Clockwork Chickadee is very, very clever indeed. Highs: The story starts out seeming like a simple retelling of a parable, but by the end turns into something completely different. Lows: It's a very tight story, but it leaves me wanting more tales from this room. Verdict: A tale unlike the others I've read from this author, available for free here on her website. 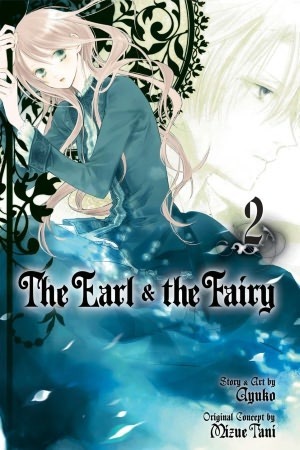 A kidnapping, a betrayal and a death follow Miss Lydia to the Isle of Manan in The Earl and the Fairy Volume 2. Note: The Earl and the Fairy Volume 2 is, of course, the sequel to The Earl and the Fairy Volume 1. The review of The Earl and the Fairy Volume 1 is here. Otherwise, read on! 1935 was a hard year, in the middle of a hard decade, for the Great Plains. Beyond The Great Depression, which had the entire country in its grips, the Dust Bowl made a great swatch of the breadbasket of the nation unlivable. People died of dust pneumonia and malnutrition, and millions fled the area. But Callie, in Sarah Zettel's Dust Girl, is trapped. Her mother owns the last hotel in the small Kansas town of Slow Run, and since Callie's father promised to come back to her someday, she refuses to leave. Never mind that she hasn't heard word from Callie's father since before she was born. Never mind that no one comes through town to stay at the hotel anymore. Never mind the eternal dust, filling their house and their food and their lungs, slowing choking them to death. But on April 14, 1935 that all changed. The day of the worst dust storm in all of Kansas, Callie's mother disappears and Callie's life is turned upside-down. Turns out, Callie's father had a pretty good reason not to come back. Both the Seelie and the Unseelie Courts have a little something to say about his human love and half-breed daughter. And in order to rescue both of her parents, Callie will have to master a world of magic and deception that she didn't even know existed. The first in the forthcoming The American Fairy Trilogy, Dust Girl does a decent, if not spectacular job of setting up the world in which Callie lives. Zettel assumes the reader has some basic understanding of the Dust Bowl, as well as the Great Depression, which is reasonable. Novelties such as dance marathons are explained well, and add to the atmosphere of the era. The magical aspect, however, is much less well-defined. Whether this is in an effort not to write herself into a corner in other books, or whether is simply a matter of magic being undefinable is hard to say. The parts that are well-defined, though, show a rather interesting idea of a fairy or magic user being able to use the wishes of those around her to bring things into being is a fairly interesting concept. 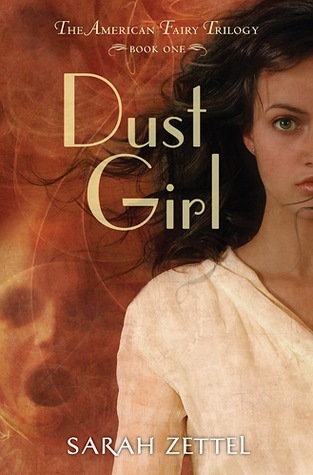 Like most YA fiction, Dust Girl is a quick read. The main characters remain engaging throughout, and even if their actions are at time a bit predictable, it's a comforting predictability that takes nothing away from the story itself. Highs: The descriptions of the dance marathons and the hobo camps show the reader what true desperation is. Lows: The lack of a defined method of magic among the fairies makes it frustrating at times. Verdict: A standard adventure story whose seldom-used backdrop puts it a bit above average. If the pantheon was real, they'd probably have to advertise like everyone else. Thankfully, in our world, any gods and goddesses that might exist take a very hands-off approach to their followers. Even if a person has an altar to Zeus in his living room and provides regular tribute and sacrifices to the Thunder God, he is very, very unlikely to get a lightning bolt thrown down to smite a vindictive boss. In fact, as hard as many people try to blame natural disasters and other coincidences on the pantheon or witchcraft, no one has come down to claim credit for their handiwork in a very long time. 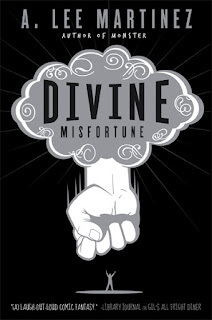 However, in Divine Misfortune by A. Lee Martinez, that lightning bolt is quite a bit more likely. The pantheon exists, and many of the gods listen quite closely to their followers. Being the follower of a god, however, has quite a bit of bureaucracy behind it. Which is probably a good idea, seeing as most gods would frown upon polytheism. Making it all nice and legal also makes clear the consequences for things like human sacrifice and the rights and responsibilities of all involved. Teri and Phil have been devout atheists all their lives. But as they see their coworkers excel, while their own lives are comfortable but middling, they wonder if perhaps their lives might be easier with a god in their corner. So they head to Pantheon.com and page through some profiles to see who might give them just a bit of an edge. 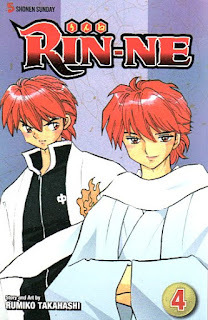 They end up finding a rather obscure god named Luka. A racoon god with the domain of luck, he requires very little in the way of tribute, and in kind offers just a bit of an increase in the luck department. So with the paperwork filed with the Bureau, and their altar set up in the corner, Teri and Phil get ready to receive a bit of luck in their lives. A raccoon-headed being wearing a distressingly loud Hawaiian shirt and carrying a suitcase stands on their doorstep. It turns out that Luka (call him Lucky) doesn't much like the Mount Olympus set and would much rather stay with his followers. And since the Robinsons have a spare bedroom and all, well, who wouldn't want a god crashing with them? Especially a god who lets his god buddy Quetzalcoatl crash on their couch and throws parties that breach their Home Owner's Association agreement. What follows is a rollicking ride through a modern-day world not unlike our own, but with the chaos that only a large group of immortal, powerful and supremely petty beings could bring. Not every god is as benign and easygoing as Lucky, either. While most gods follow the rules of modern society, in any group of beings there will be the antisocial elements. These gods revel in the human sacrifice and suffering that the less moral devotees are willing to provide, in exchange for money and power at levels that could hardly be acquired on one's own. On top of that, when dealing with immortals, issues like heartbreak, revenge and general bad blood can last a very, very long time. Highs: Who would have thought that Quetzalcoatl would have mellowed out into such a cool dude? Lows: It's hard to tell from the beginning what kind of story you'll be getting, but if the reader is willing to get past that, it's well worth the trip. Verdict: The perfect story for fans of the more absurd science fiction and fantasy, or anyone who took long car rides listening to The Hitch-Hikers Guide to the Galaxy radio plays. 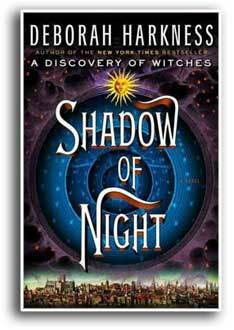 Diana's magic can no longer be ignored in Deborah Harkness' second novel in the 'All Souls' trilogy, Shadow of Night. Note: Shadow of Night is the sequel to A Discovery of Witches. Check out the review for A Discovery or Witches here, or read on! Asumi has a crisis of confidence, but her friends rally to pull her through in Twin Spica Volume 3. Note: Twin Spica Volume 3 is, of course, the sequel to Twin Spica Volume 2. 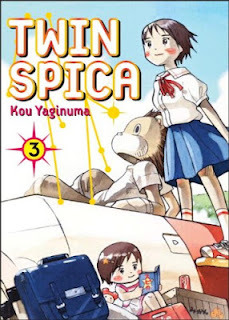 The review for Twin Spica Volume 1 is here, and the review of Twin Spica Volume 2 is here. Otherwise, read on!